Everyone is about Virtual Reality right now. Oculus has all their chips in that basket, joined by a few bets from Sony and Samsung. Microsoft have instead decided to fold, and start a new table altogether. Instead of VR, Microsoft is pushing augmented reality. Or, as they like to call it, holograms. Which is, in fact, what Microsoft is promising with Windows Holographic, a brand new wearable device that will augment virtual spaces with our very own living, breathing world. The sizzle real showed off engineers looking at schematics broadcast onto a wall, Skype calls taken on the go and video game worlds being projected straight into your living room. This is what Microsoft envisions the future to be, and it’s extremely exciting. Holographic will be a completely standalone device, with its own CPU and GPU on-board to deliver a wireless, untethered experience. On top of that, the device will also be able to link up with every Windows 10 device, allowing you to bring your flat screens to gorgeous new life. 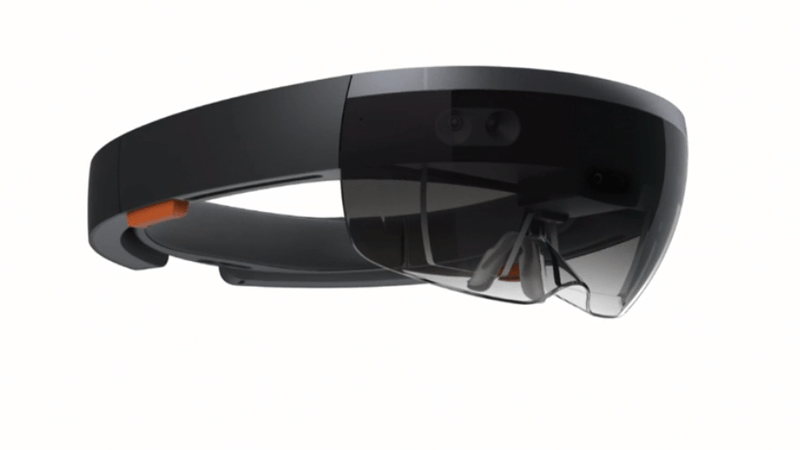 The head mounted display, or HoloLens, is still in prototype phase, although Microsoft already had enough to show off a live demo of 3D hologram construction in real-time. The HoloLens has positional and audio tracking all on-board, and it constantly knows where the wearer is looking in order to correctly project content and pick up movement commands. This opens up a world of possibilities in nearly every working field, whether it be medicine, business, construction or even gaming. Imagine your favourite gaming world – and then imagine having your living room transform into it. Of course, this is all very early in development, and it would be criminal to overlook the promises Microsoft first made with Kinect in 2009. But Holographic feels less like a gaming add-on, and more like a platform that the whole company is behind. Early hands-on impressions are also incredibly positive, and it’s clear that Microsoft wants to transform computing with the introduction of holograms. Is Windows holographic the future of the way we interact with our virtual worlds? I really think it might be.